Choosing between these machines, you may find yourself stuck and unable to decide or sometimes hampered by the amazing price tags some have smacked onto them. That’s why we have come up with this handy list of Nespresso machines with the functionality you are looking for minus the high price tag. All these have a number of impressive features even though you might miss one or two premium features. 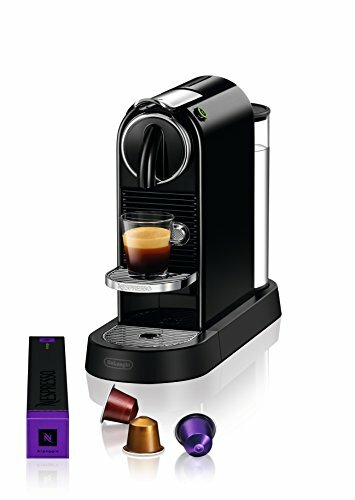 What Makes the Best Nespresso Machine to Buy? We all love Nespresso machines because you know you are getting a fast machine that consistently gives you good coffee and the best part is the “perfect crema”, which is a beauty to look at. All the units come with some useful features, but different manufactures fit them with all kinds of varying additions so you have to look carefully when buying one. 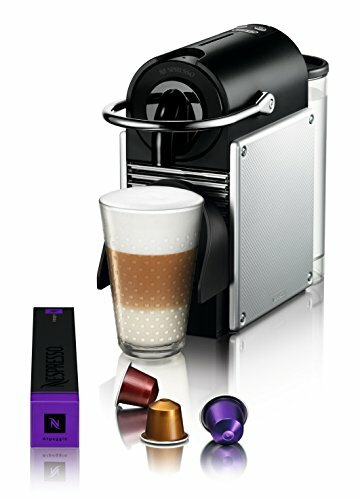 Nespresso machines typically come strictly compatible with Nespresso coffee capsules. Some coffee drinkers feel that this is too limiting even though you have a generous selection to choose from. 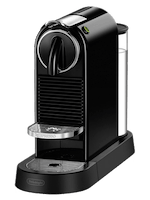 If you would like a coffee machine that accepts the coffee capsule you like to make your cup of Joe with, then be sure to check for capsule compatibility. This basically depends on the kind of machine you buy. 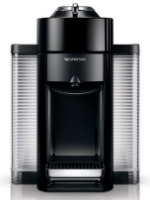 A high-end model comes with a sufficient water reservoir that doesn’t need refilling every single day. Even so, the cheaper models come with a considerably sized water reservoir which is a good thing if you don’t have the extra cash to spend. It is a question of whether you like milk drinks or would rather have your coffee straight. This is, at least, where Nespresso draws their distinction. If you would like your coffee without milk, then a unit without a frother is what you should buy. There are a lot of compact entry level machines with great functionality to choose from in this case. Those who prefer milk in their coffee should have a look at models such as the Lattissima Pro and Touch, UMilk or the Inissia. Some of these come with pre programmed milk-based drinks which you can prepare at the touch of a button. How quick a Nespresso machine do you want? Speed is one of the features about Nespresso machines that people have come to expect from the company. Look through the specifications and you will find machines as fast as you like. Nespresso machines can have your espresso ready in under 30 seconds and make a regular cup of coffee in 15 seconds, which is right up there with the best brands in the market today. Nespresso developed Centrifusion technology which provides the best extraction from your coffee grounds. The coffee capsule spins at about 7,000 rotations per minute, providing the perfect blend as well as crema for the real barista-style espresso. Using a bar-code on the capsule’s rim, the extraction system is able to identify each Grand Cru blend. You don’t need to worry about the settings every time you insert your capsule as the machine adjusts accordingly to produce the right variety at the touch of a button. You can make 1.35 oz or 8 oz coffee with one machine. The machine has an adjustable cup support to fit different cup sizes by moving between positions. Nespresso is constantly coming up with new ways to deliver you coffee faster and minimizing the number of buttons is important. A lot of the functions are automated even for the low end models so that you prepare your coffee by pressing a single button. The VertuoLine range of machines is a safe buy that you may end up using on a daily basis. This particular unit comes with a range of settings that will keep amazing you as you use the machine. What’s more, you get a welcome set of VertuoLine capsules with 12 different aromas. At $119.99, you are getting a coffee maker that will keep producing good coffee for years. Extra features like power saving and chrome detail for the deluxe premium version make it even better. Your coffee capsule comes with 900 aromas. Only high quality brewing can ensure you extract all these to make the perfect cup of coffee. With 19-bar pressure, this compact machine will always brew you the coffee you like. You have the choice between espresso and lungo but there is more choice if you need something different. 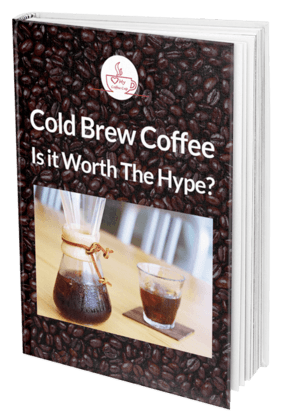 You will also like the fact that custom cup sizes are just as easy to make, you only need to press a button and you have your custom cup of coffee. For some people this may be a turn off but that is until you learn to appreciate the variety of coffee flavors you get from Nespresso. With every other machine in the kitchen taking up more and more space this small unit will be one of those that never misses a place on your counter-tops. Designed with compact form, the machine can fit in the smallest kitchen. What else makes your morning better if not a quick cup of coffee? With this machine you can have your coffee ready in 25 seconds. The machine is easy to use and the capsules slide right in. This compact machine will give you all you expect from the best espresso machines despite is small size. It has power saving qualities as well so you don’t have to worry about daily usage. 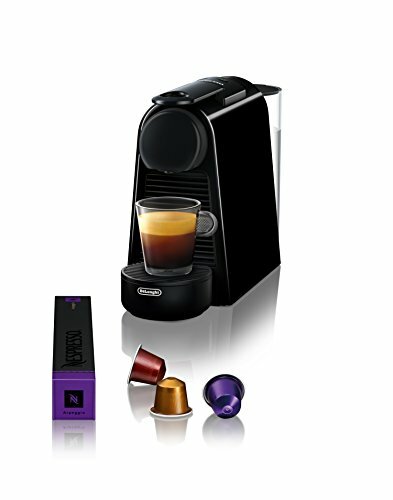 With this compact unit, Nespresso have managed to outdo themselves yet again. There is very little to complain about when it comes to this espresso machine be it the price, quality of coffee or size. It is just perfect for the coffee lover who wants a cup of Joe every now and then. 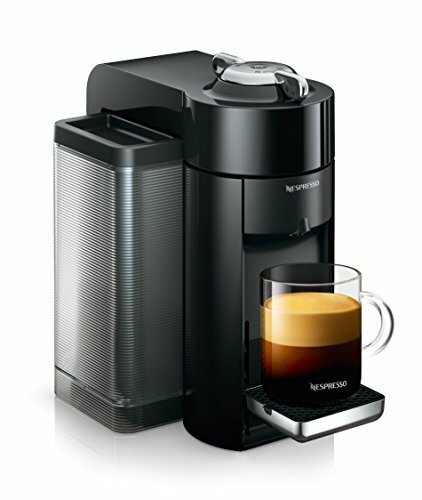 Nespresso’s patented extraction system is one of the main reasons most people fell in love with the machines. 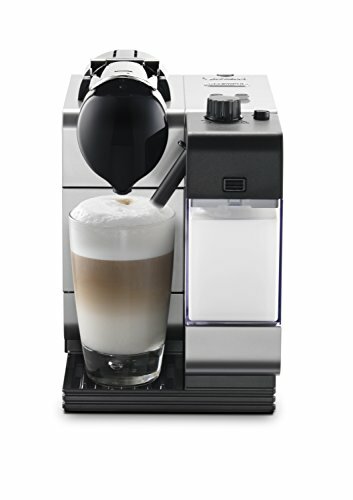 The Lattissima Plus uses a brewing process that gives the best espresso and coffee drinks. 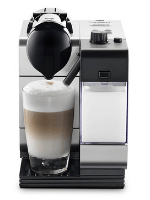 The espresso machine incorporates a lot of clever specs which make it convenient to use and an energy saver as well. Thermoblock heating system speeds up cold-start heating so that you can make several drinks quickly. The smart features include a responsive illuminated display. You can make a lot of coffee drinks before you need to refill a 30 oz water tank. With such a reservoir, the machine can stay for days without needing a refill. 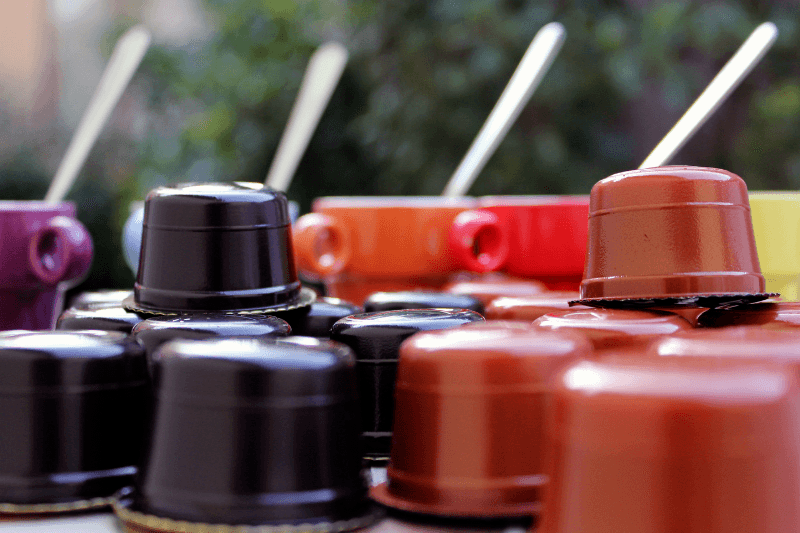 With all the different Nespresso capsules to choose from, it's hard to see why anyone would feel left out. You can choose from three aromatic families; Mild, Intense and Fruity. All the selections can be prepared in decaf or regular. This is the coffee machine to impress your guests with. It’s quick and makes all the high quality Italian drinks you want. Aside from producing great tasting coffee drinks, the machine does most of the work for you. All there is to do is insert your choice of capsule, slide the milk container in place, put a cup under the nozzle and press the button. The Lattissima Plus may be on the higher end of the price spectrum but it sure earns every dollar you spend on it. With this espresso machine, you can prepare foamy barista-grade milk and coffee drinks whenever you feel like it. Cleanup and maintenance is also simple mostly thanks to the recyclable aluminum capsules. When it comes to pressure brewing, you need a machine that is powerful enough to brew high quality coffee. The 19-bar pressure pump on this machine means that you always get all the flavors from your coffee capsules. You get the two standard cup sizes as well as other cup size selections which are back-lit so you can choose easily. Don’t worry about the machine’s size in case you want to prepare your drink in a tall glass because the cup tray is foldable, so you can always make space. Energy-saving capability is one feature most homeowners look out for these days when going for electrical equipment of all kinds. With the ubiquity of automated kitchen utensils that use energy, it helps to have some that save up some energy like this espresso maker, which automatically turns off after 9 minutes of inactivity. Having a machine that gets your coffee ready in less than 30 seconds is great. This is such kind of a machine. It comes in handy on mornings when you are in a hurry because even then you can wait for 25 seconds for the perfect cup of coffee. 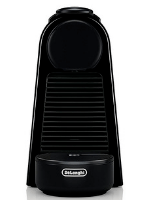 The CitiZ single serve espresso machine is the reason you will stop going to the coffee shop. It boasts a combination that is hard to beat; a compact retro design and the performance stats to boot. Technology brings convenience into your kitchen. As one of the compact single-serve espresso machines in the market, the aptly named CitiZ machine performs beyond expectations. It is the ideal kind of coffee maker for the city person who does not like lining up at the coffee shop but still won’t compromise on their coffee. The Pixie is fitted with all the energy-saving settings Nespresso machines typically have. It shuts off automatically after 9 minutes of inactivity and gets your coffee ready within 25 seconds. Count on a Nespresso machine to have this or that smart feature to improve usage. The machine has a red back light alongside the water tank that alerts you when the water level is too low so that you don’t have to refill the 24 oz-tank on a slow morning. The Pixie is easy to use and comes with simple enough selections. Just press the cup size you want and that’s it. With all the appliances fighting for real estate on your kitchen countertops, it helps to have one that doesn’t need much space. The Pixie is such a machine. You can easily fit this unit into the small urban kitchen without having to move things around. Choose between a range of colors and a couple of finishes to get a Pixie that was meant for your kitchen. The Pixie is not only good for high quality coffee but also has an awesome design. 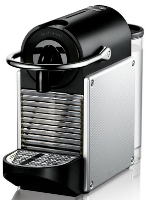 For a machine that barely rises higher than a stack of eight Nespresso capsules, this espresso maker offers a lot. 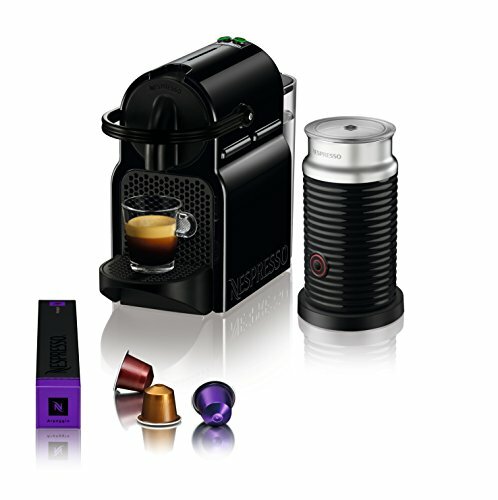 Enjoy robust functionality and style when you buy the Nespresso Pixie. With the Inissia, there is nothing like fiddling with buttons. Its simple design means that with a single touch, you are able to start off the brewing process. Even better, the whole process of heating up takes 25 seconds from start to finish, which makes it ideal for those looking to make a quick cup and head out. Within these 25 seconds, this coffee maker is capable of giving you 9 coffees, all the while without you having to add water to the tank. The Aerocino frother, which comes as part of the package, is designed to create the ideal milk froth. Here, if you are looking for a flawlessly made froth for any coffee recipe, it's just one automated step away. The textures offered here have varying degrees of finesse, depending on what recipe you are going for, all the way from cappuccino to latte. The extraction process in the Inissia is patented and comes with an automated operation module. Extracting coffee with this system is rather easy as it produces a high degree of pressure- as high as 19 bars. The result is a fine, expert level broth fit for any coffee aficionado. The Inissia’s operation mechanism will turn the coffee maker off after 9 minutes of non use, which means that even if you forget to turn on the system yourself, energy is preserved. This is an espresso maker for those who have to work with restricted kitchen space. Despite its small size, the machine has a number of features that will impress you including a foldable cup holder to make room for larger glasses. The Inissia is yet another great functioning espresso machine that is reasonably priced and small enough to find space in your kitchen. As is the norm with Nespresso machines, this unit also has power-saving capabilities that make it convenient to use even if you use it on a daily basis. Nespresso has long established itself as a leading coffee machine maker with a range of machines with forward-thinking designs and functionality. Each espresso maker on this list modifies your normal cup of Joe in its own way. 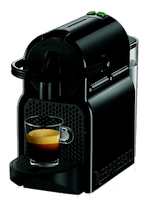 Our favorite pick would be the Nespresso CitiZ espresso machine which impressed us with its form factor, functionality and pricing as well.